Concerts and performance art filled the region as women protested the state’s inaction in the face of injustice. Some 20,000 women are banding together to denounce the state’s deadly negligence which is victimizing women across Israel in a nationwide march Tuesday. Black coffins, puddles of red paint, roadblocks, and “die-ins” were erected throughout the Tel Aviv protest which was triggered by last week’s double homicide of two girls. Twenty-four women were killed in impunity in 2018, the region’s highest statistic since 2011, the Women’s International Zionist Organization (WIZO) said. “This is a historic turning point. Tens of thousands of women from all parts of Israeli society are planning to strike on Tuesday to prove once and for all that 51 percent of the population is not a minority,” protest organizers said in a statement. Despite assurances from Prime Minister Benjamin Netanyahu to “convene” over the issue, little progress has been made for women’s rights. In a show of solidarity, hundreds of health, state, educational institutions allowed their employees time off to participate in the nationwide strike. Concerts and performance art filled the region as women protested the state’s inaction in the face of injustice. “The government cannot continue to hesitate while women are being murdered,” said protest organizers, accusing the state of failing to fund necessary programs to combat gender violence. 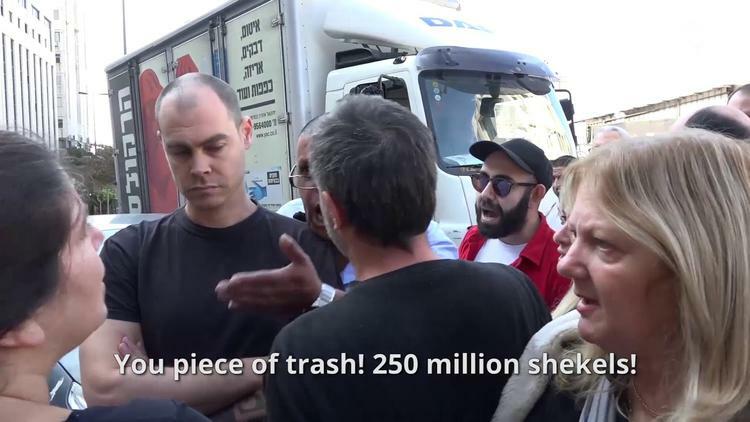 “We demand the transfer of the NIS 250 million budget promised a year and a half ago for the emergency plan to prevent violence against women,” organizers said.